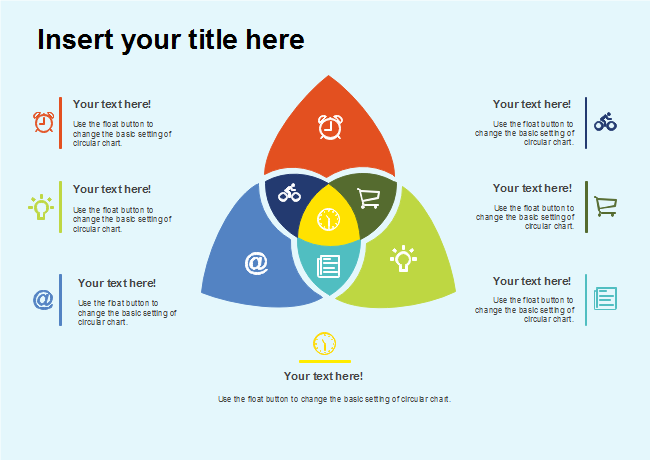 Description: Here's a 3-set Venn diagram consisting petal-shape sets, cliparts and texts. You can include more flourishes to enhance the look using easily accessible high quality vector design elements in Edraw. Finish up by clicking on the Send button to share with friends.